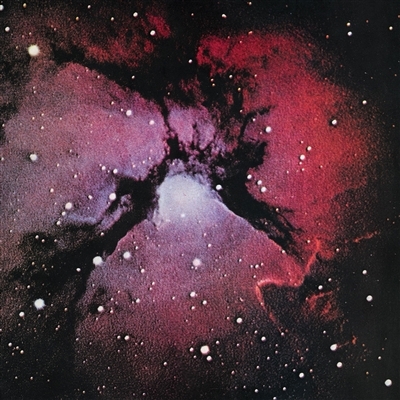 Islands was King Crimson’s fourth studio album. First released in 1971, it was recorded at London’s Command Studios in between numerous live gigs by the then newly-formed incarnation of the group. Augmented by string and woodwind players, as well as a female vocalist (the only occasion in the band’s 45 year history), Islands builds upon material that possesses the familiar Crimson DNA as well as a new, distinctive identity all its own. Ultimately the guitar solo and its clattering coda is the leap from the symphonic and jazz stylings of the earlier albums into a spikier metallic soundworld that wouldn’t be fully realised until the next studio album, Larks’ Tongues In Aspic. After the release of Islands Robert Fripp would be the sole surviving founder member of King Crimson. Lyricist Peter Sinfield went on to work with ELP. Ian Wallace would spend several years working with Bob Dylan and Don Henley, while Boz Burrell would go on to help form Bad Company. Mel Collins continued & continues to be an in demand recording & live player having worked with innumerable artists including The Rolling Stones and Eric Clapton. In 2014 he was reunited with Robert Fripp as a member of the new seven-piece line-up.